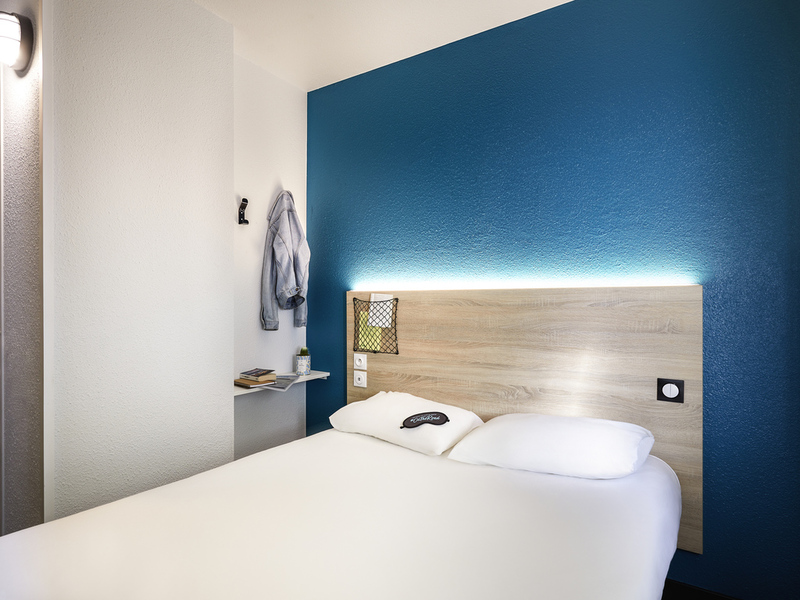 Close to Paris, the F1 Gennevilliers Asnières hotel offers quick access to Paris, 4 km from the Porte de Clichy, and 15 minutes from La Défense and Stade de France. Enjoy on-site Wi-Fi, free private parking and a balanced breakfast buffet at your disposal. 24/7 access. The new "On the road" concept has arrived! Come and discover our renovated hotel. I was disappointed, for price what I paid.. i the room was smoking, no water at the first night.. no in the shower in the toilet.. i have to brush my teeth without water. When I asked manager about water... he’s couldn’t say anything, because he’s don’t speak English..
We had to wait up to 1p.m to have our room. The room was very small, about 9m2. All was dirty. There was no towel and no cleaning service in the morning! Lucky for us that we spent only 2 nights. If we had have stayed for 5 days I couldn't imagine it. The mattress was hard and pillows thin. You could hear every noise outside from your room. I paid 50€/night to expect something better than a student hostel. The room was clean . Small and basis but reflected in the price. Sound proofing of room and window was poor. The blind was held down with string as it was not long enough to fully close, room on busy toad with street lighting so never dark. Bathroom small clean and recently renovated. The person working in reception is highly unqualified and lacks zero respect and attitude towards us. He is the worst to be sitting as receptionist.. I would like to say that he is incapable of being handling this job and we need better person to treat customers well. He works in the morning shift .. ( we went to the hotel around 9 ) Hope you take proper action . Thanks!! Hôtel was under rénovation si not clean on common parts. Room was ok and was the breakfast. Night cas noisy due yo close riad and light window isolation. The rooms were as expected, but the shower and toilet facilities really need a re fit, they are in a poor state. The room and hotel is fine as usual but when I asked for invoice with business details during check out, the receptionist told me it isn't possible and that they have one ready already and can't correct it. I don't think this is a professional way. Most of all I liked the locking system on the doors.I didn't like that nobody controlled who comes into the hotel.Because everybody could do it.The cam would not be able to prevent the terract. Rooms not too clean, very hot rooms, toilets became very dirty. Breakfast was not the experience expected. Lacked bowls to eat out of and a very limited selection of things to choose from. Hello all I was in your hotel from 2-nd May to 4-th May.I was in with my wife.We were not satisfied for the folowng reasons: --toilets were permanently dirty and we had to go up and down in the hotel to find a clean toilet,also there is a constant smell of excrements along the coridors.Personel does not speak any foreign language at all and I find this very unconvenient in a hotel whatever the price for the room is.The parking lot in the underground is totally dirty and has water droping down from the residual waters in the pipes on the cealing.I know this is a low budget hotel but that does not mean that the elementary rules of cleaning and smell cannot be achieved.I am sorry to say that even if we used a lot F1 Hotels in France ,this one was really a mess.Price of room was displayed outside 39 eur per night,I think for this price people can have at least clean toilets.Also we had water on the floor in the room from the washbasin situated near the beds,there was a constant leak.